Panj: Who are you here with? RK: I am on my own. Panj: You are too young to take Amrit on your own. It is not an easy task to keep the responsibilities of Amrit. You are too young, come back when you are older. RK: I don't understand. Guru Gobind Singh Jee's sons were also very young when they sacrificed their lives. If they can do it, then why can't I? The Panj Pyare were stunned at the responses from this valiant child. There was no turning her back. She was blessed with Ammrit and so began her life as a servant of the Khalsa Panth. RK: How many dogs roam around our village that have no owner? Dad: How do I know? What kind of stupid question is that? I don't count the number of dogs in this village. RK: Without Amrit we are like those dogs with no owners. Once we take Amrit, we are owned by Guru. We become his. When a dog without an owner dies, no-one cares and no-one knows where it goes after death. I know that with Guru Sahib's Amrit I belong to him and when I die he will be there for me. The kirpan belt (Gatra) we wear, is like Guru Sahib's leash on us. "I hope that one day I will be lucky enough to give shaheedee". 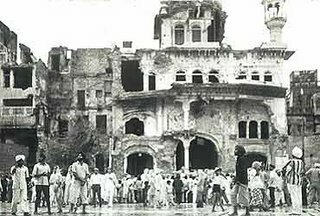 During those times Sikhs were suffering much oppression at the hands of the Indian government. The stories of police excesses did not scare Rano. The more injustices she heard of the more valiant she became in her fight for Sikhi. Bhai Fauja Singh Jee and Bhai Kewal Singh Jee used to visit her village where she was fortunate enough to meet with them often. She was influenced by Bhai Fauja Singh Jee's braveness and his constant thoughts of being ready to die for the Khalsa Panth. The 1978 saka in Amritsar shook the whole community, where these Singhs gave their lives for the Panth. Rano didn't get upset or angry over their shaheedee. Instead she began doing Ardaas asking for her own chance to give shaheedee for the Panth. "Rano, the Panth needs Sikhs like you. Your time is close, be prepared to sacrifice this life of yours for the Khalsa Panth." Rano was overjoyed that finally what she had been praying for her whole life would be coming true. "Shindo, the reason I was trying to keep this a secret was that I don't want anybody in the family to make a fuss. Just make parshaad for everyone in the village and do 'Jaikaarays'. No one is to cry after my shaheedee and if anyone does I will come after them in some form.". She knew how to get her point across! From that day on, she was a part of every Dharam Yudh Morcha. She used to take a Jatha of ladies from villages to wherever they were needed. In protest of the unfair treatment of Sikhs, she with her Jatha laid down on the railway lines to stop oncoming trains. She had been sentenced to imprisonment on several occasions by the Punjab police, for helping the Sikhs in the Dharam Yudh Morcha. She was never worried about herself or her life and was a motivational speaker. Later, she became a religious studies teacher at a Punjabi girl's high school in Taran Taaran where she was now living. During her time as a teacher, once some of her students came to her and told her that there were a few men (20-25yrs old) who would harass them on their bus ride to school. Rano told the girls not to worry. The next day, when the bus arrived at the school, Rano was waiting at the stop. All the students left the bus and the bus was about to leave, but Rano stood in the middle of the road in front of the bus. She told the bus driver to stop the bus. She got on the bus, and told those immoral men to step outside. Initially, the men ignored her and told her to get off and let them be on their way. She knew that they would react like this, but she had come prepared; she showed them her gun that she had been hiding under her clothes. At the sight of her gun the men jumped off the bus like chickens as Rano followed. At the bus stop she hit the men with the back of her gun until they were bruised. By this time a crowd had gathered at the bus stop to see what the commotion was. She told the men that if they bothered or tried to flirt or even look in the direction of those girls again, she would kill them. She also told them, that if they had a problem with what she had said and done to them, or if they wanted to settle things at a later time, they could come to her house, and she gave them her address. Those men were so scared of her that they never even got on the same bus as the students again. 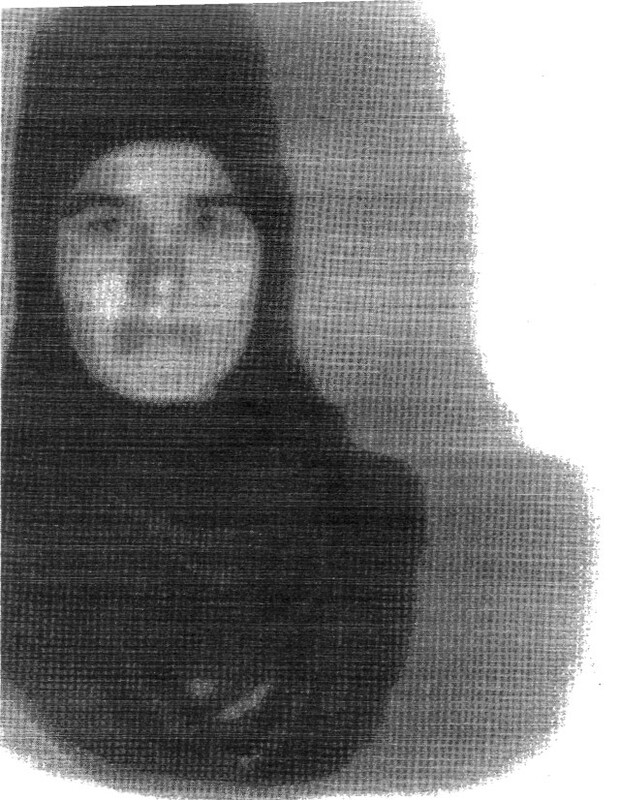 Rano was of an extremely religious temperament. She had no desire to marry as she knew she would not be on this earth for much time so she wanted to use what little time she had in Seva & Simran. However, as she was doing seva alongside many dif­ferent people in dangerous places, the Sangat decid­ed it would be best for her to marry a tyaar-bar-tyaar amritdharee singh while continuing her seva of Khalsa Panth. So in May 1984 she had her Anand Karaj with Bhai Harbhajan Singh Jee. 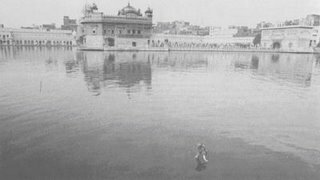 He was an amritdharee singh who was doing seva alongside Baba Jarnail Singh Jee, Bhindranwale, at the Golden Temple in Amritsar. Her marriage took place at Manjee Sahib, Amritsar with five other couples. This was the last marriage program that ever took place at Manjee Sahib, Amritsar. "I don't want any sort of fancy suits nor will I be able to wear them. If you have to give me something, then give me one of your sons so that I can use him in the Dharam Yudh and Khalsa Panth Seva." Binder was scared and didn't want to give one of her young sons to die. She thought Rano was out of her mind. But Rano was not into these worldly material things and always gave importance to seva for Khalsa Panth. "Harbhajan Singh, this is no time for laughing, THE time has finally come. Make sure you die here with honor. There is no other perfect place to die for the Khalsa Panth than at Sri Harminder Sahib Jee. Don't try and be clever and find a sneaky way out. Do not be a coward and go back alive from here." They then said Fateh to each other and she moved on with her duty. These were her last words with her husband. This was the last time she was seen by anyone. She was not found after this incident. According to her husband, all the five bibian were caught and killed by Indian Army. But other people have said that they were caught and put into jail. To this day, only Vaheguroo knows what happened to her and the other bibian. Later on during the fighting, her husband ran out of ammunition and they had to surrender. All of them were told to stand in a line and were about to be shot when an army officer came by and asked that a few men were needed. 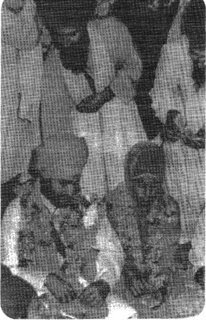 The requirement was of a Granthee Singh and a Ragee Jatha in order to perform keertan at Darbaar Sahib. Bhai Harbhajan Singh Jee was picked out of the line to play tabla but the Singhs alongside him were killed. He explained that his wife, Rano, knew how he might not sacrifice himself for the Khalsa Panth and she warned him against this. Nonetheless, the Punjab police killed him two years later. This is how Bibi Ravinder Kaur Jee lived the true life of a Gursikh and finally died as a martyr doing seva of Khalsa Panth. what a blessed soul was Bibi Ravinder Kaur ji! Bibi Ravinder Kaur Jee was my masee jee and even though i did not meet her in life, i still look up to her. She was a true khalsa and she sacrificed herself for sikhs everywhere as along with other bibi jees.